← BACC to a grammar and prep school curriculum? The NUT has called for the resignation of Nicky Morgan as Secretary of State for Education. We expect that other organisations of teachers and parents will soon follow. Morgan’s position is now untenable. 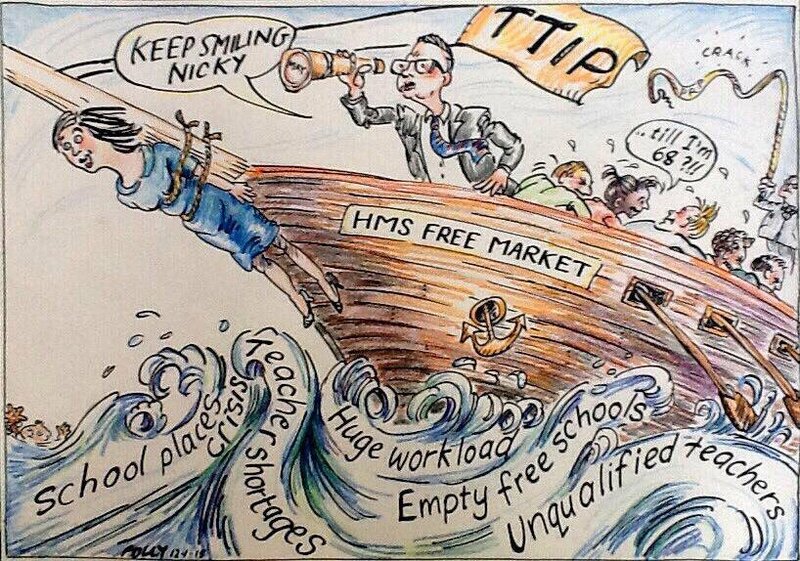 She was appointed to calm the storms created by Gove, but did nothing to steer the ship away from the rocks. Nicky Morgan implemented Gove’s rewrite of the National Curriculum to the letter, without bothering to listen to teachers, heads or education experts in universities. She ploughed forward regardless with the new primary school tests and revised arrangements for GCSEs and A-levels. They have proved disastrous, and teachers, parents and the students themselves are furious. It is time to end the arbitrary powers of the Secretary of State over such matters. her insistence on Amanda Spielman becoming the new Chief Inspector can only be described as wilful and irresponsible – she has no teaching experience and as head of Ofqual shares responsibility for this year’s test and exam fiasco. Morgan is a liability to the Government, just like her predecessor Gove – which is saying something! She has to go – but also the disastrous policies which are rapidly destroying education in England! Reclaiming Schools will continue to support the NUT’s campaigns with expert and reliable research. 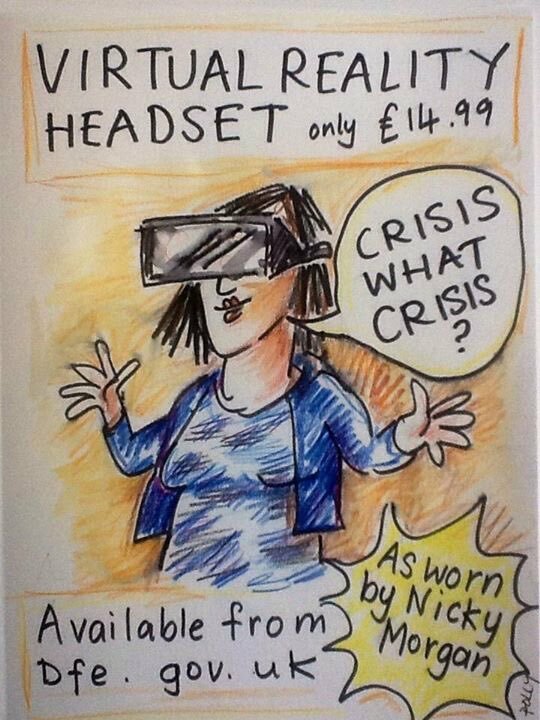 Our thanks to Polly Donnison for the cartoons. This entry was posted in Curriculum and tagged academies, accountability pressures, assessment alternatives, baseline tests, early education, local democracy, National Curriculum, Ofsted, phonics check, politicians, privatisation. Bookmark the permalink.